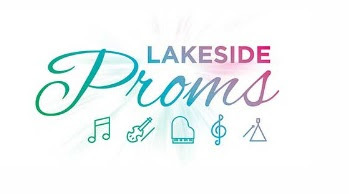 Lakeside Proms will be heading to the NEC this summer, for two open air performances by the internationally renowned Royal Philharmonic Orchestra. Having performed in major concert venues across the world, this will be a unique opportunity to experience its classical sounds in Birmingham. An idyllic setting for an outdoor summer’s evening, the NEC Lakeside will play host to the event, offering two different styles of music across the weekend, with each show concluding with a dramatic firework display finale across the lake. On Saturday August 4th, the Symphonic Rock will take to the stage, where visitors can hear their musical heroes come to life for one epic night, in the must-see show of classic rock anthems and hit songs. The show will feature a spectacular light show to accompany the iconic music of Queen, Bon Jovi, David Bowie, The Rolling Stones, Michael Jackson, The Eagles and many more. On Sunday August 5th, The Music of John Williams will take to the stage. The Orchestra will celebrate the musical brilliance of John Williams, undoubtedly one of the world's most respected film composers. In the action-packed show, the Orchestra will perform his superb orchestrations and legendary melodies, including music from the likes of Star Wars, Indiana Jones, E.T., Harry Potter, Close Encounters of the Third Kind, Superman, Jaws, Jurassic Park, Schindler's List, Hook, Fiddler on the Roof, Home Alone, and War Horse. Tickets for both events are now on sale. Get them here.